Director Vicky Jewson was looking for women with dangerous jobs to get inspiration for her next project when she came across the name Jacquie Davis. Davis is a bodyguard, a rare profession for a woman, and has in the past 30 years protected everyone from royals to celebrities like Nicole Kidman and JK Rowling, and also staged undercover rescue missions and surveillance operations. There was little question that her experiences would be the perfect template for Close’, now streaming on Netflix. ‘Close’ was independently made. Although it’s a solid action pic with all the intensity of a Jason Statham vehicle, Jewson experienced some pushback in the early stages of development. She found an ally in the WestEnd Films brand We Love, which produces films aimed at female audiences, with credits like ‘Albert Nobbs’ and ‘The Breadwinner,’ and helped secure financing for the shoot. Netflix acquired the film during post-production and both Jewson and Rapace are excited by the prospect that the film is going to be available and seen by so many people immediately. Rapace had a good experience with the streaming service with the film ‘What Happened to Monday,’ but the power of Netflix really crystalised when she saw the phenomenon of ‘Bird Box.’ She was just with her friend Susanna Bier, who directed ‘Bird Box,’ which Netflix said has been streamed by 80 million accounts. Plus, she said, Netflix films don’t die because of a lackluster opening weekend — they look at the first 10 days instead and while Jewson knows she might not get exact numbers, she’s been told that she will get an accurate read of how it’s doing. 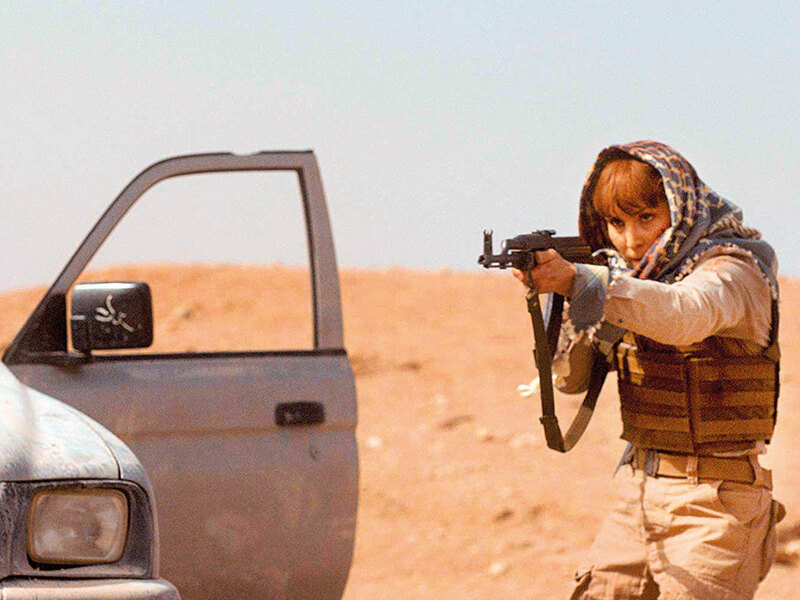 Both women have found that they so enjoyed working together, even in the most trying situations — like filming an intense ambush sequence in Sudan in 40 degree Celsius weather in one day instead of four because some wigs got held up in customs — that they’re already at work on another project about a Mossad spy in the 70s. Close releases in the UAE on January 24.